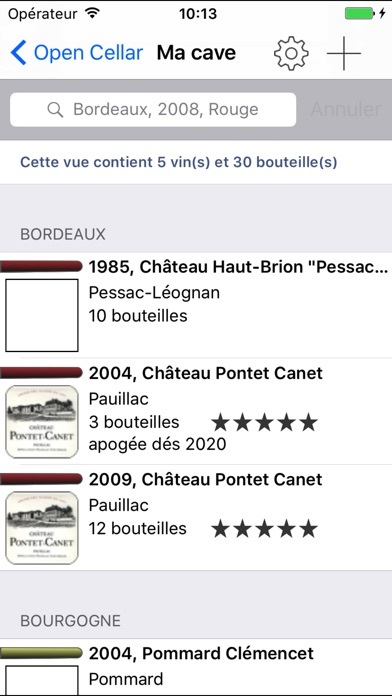 I love this app because it has organized my 200 bottle cellar for several years when nothing else worked. But my phone tells me you need to update!!! PLEASE update for current software! Is anyone there?? 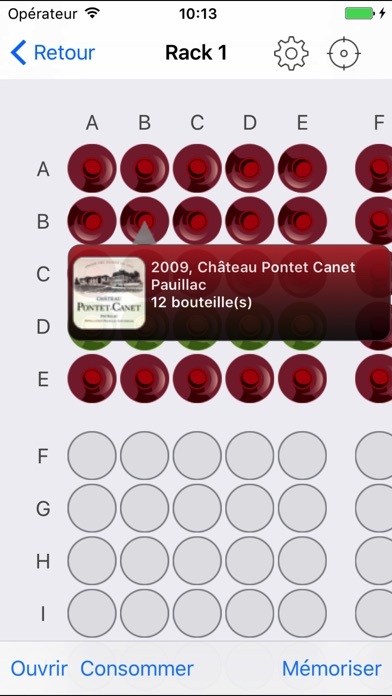 This app does everything I needed it to do when organizing my wine cellar. I have cataloged 240 bottles of wine without any problems. I highly recommend it to anyone looking to do the same. 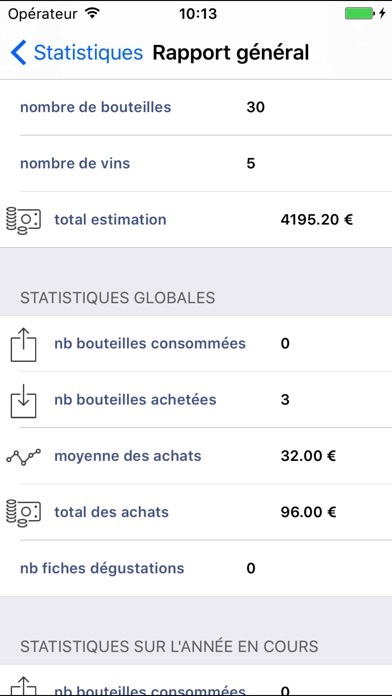 I have organized a 700 bottle cellar in 2 days with this app. To create the cellar map and input your bottles is very easy! 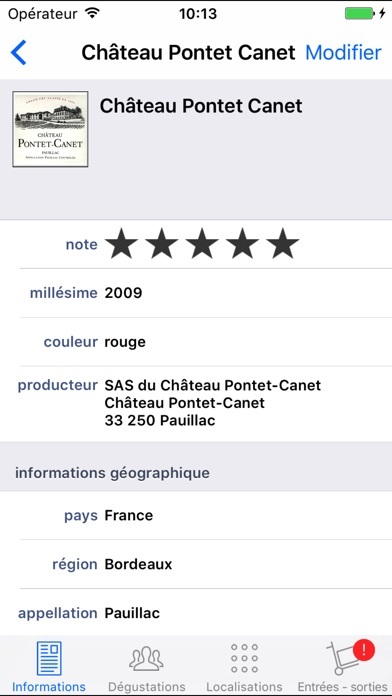 Great to keep track of your cellar value, inputs and outputs, wine ratings, etc. The best for sure! Missing the iPad version though!! I was very dissapointed and also wish for a refund. While the program description is in English, the program is entirely oriented to all things French. No American (or any other country) appellations, varieties, or wine reviews. If your collection is not almost exclusively French, this program should prove very tedious. Be prepared to enter every detail of each bottle keystroke by keystroke or look elsewhere. 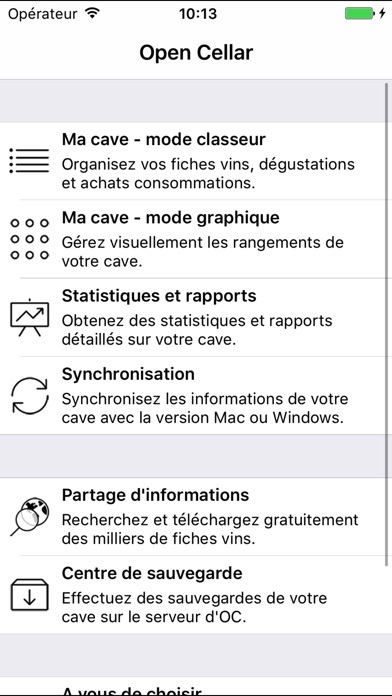 My fault for not researching fully before buying... most of the application is in french, as are the support pages and the cross platform download. So, I basically can't use it and wish I could get a refund.